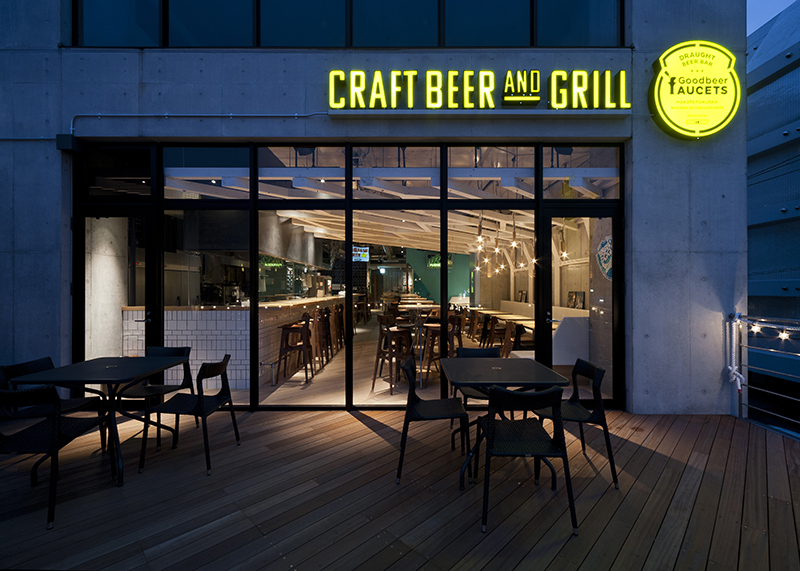 We designed a craft beer restaurant inside a building with a terrace facing the Nakagawa river, located in the Haruyoshi region of Fukuoka. 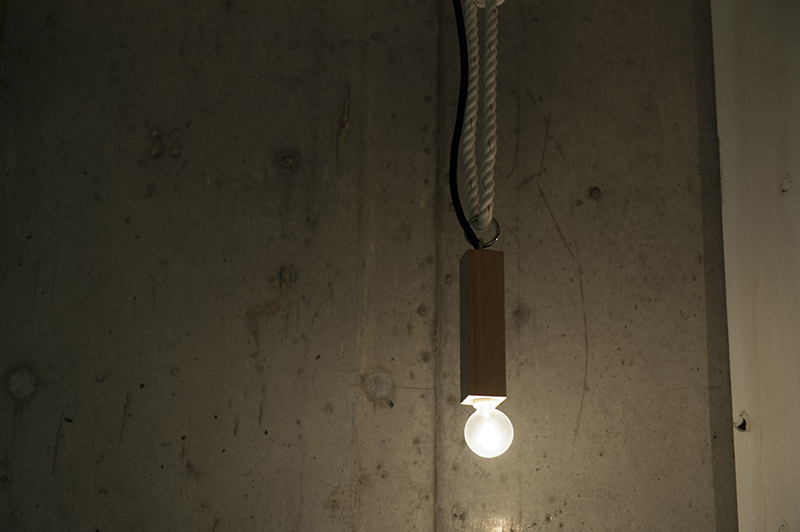 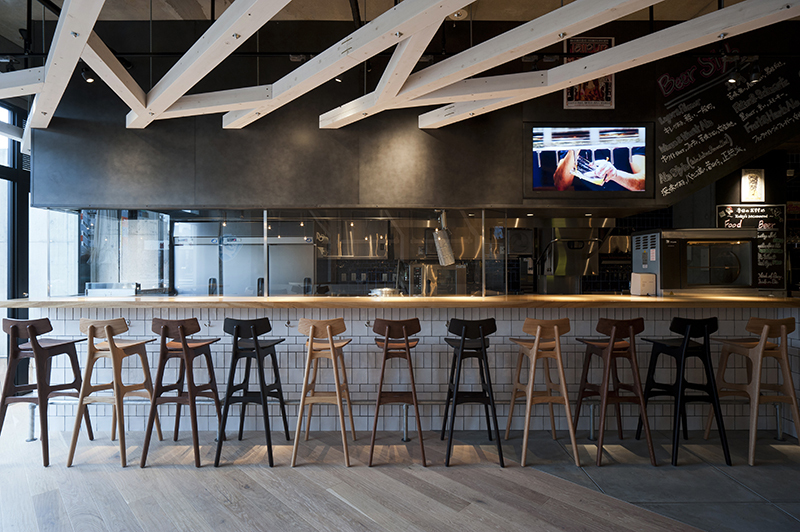 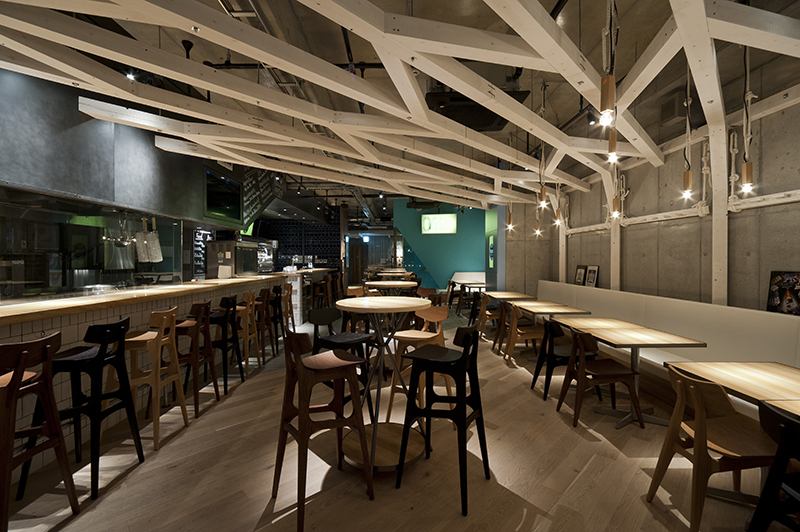 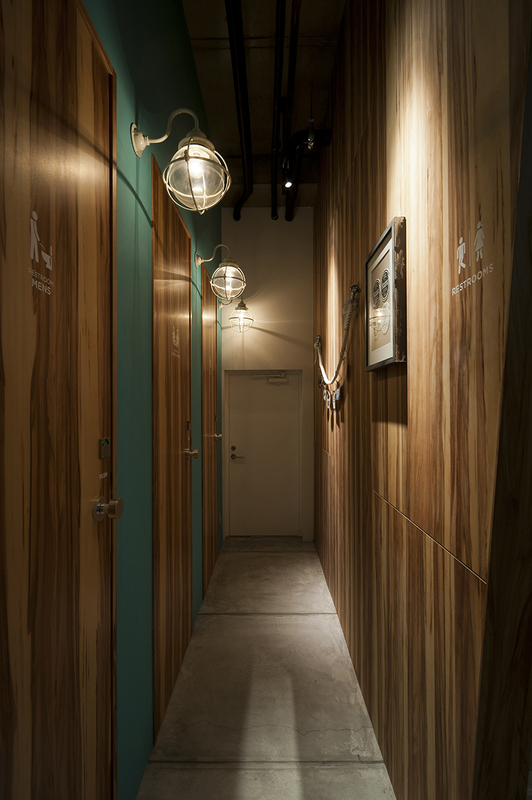 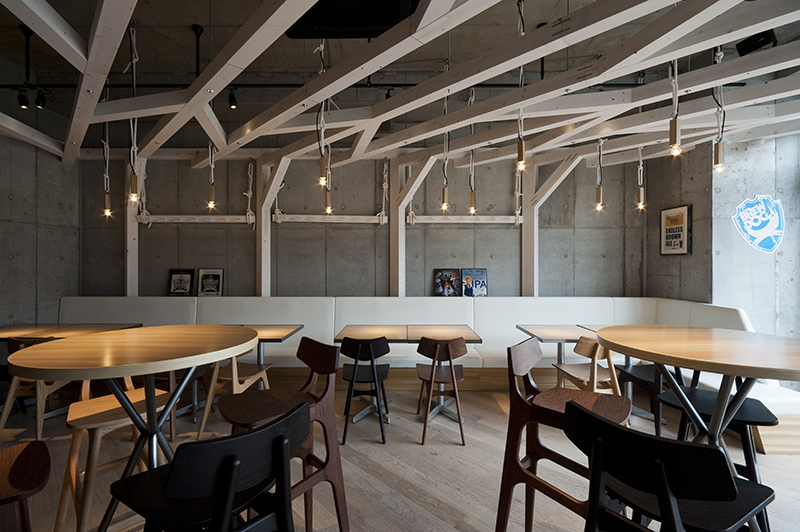 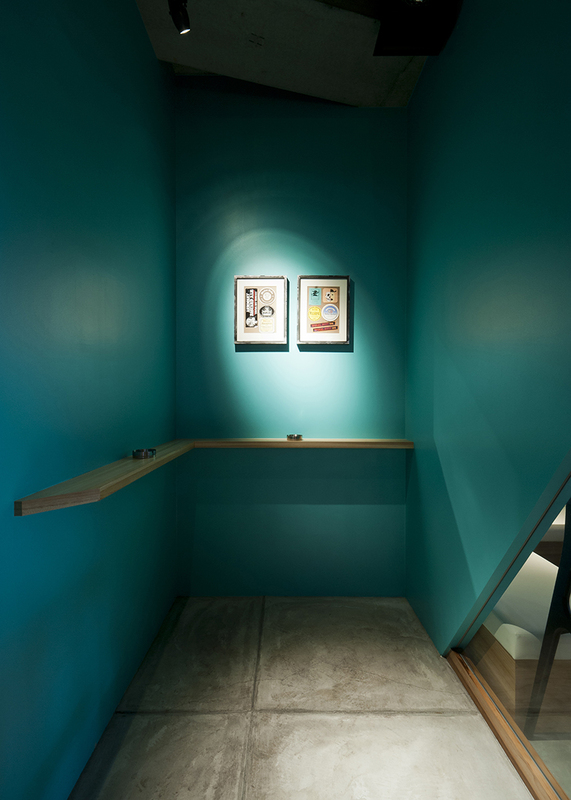 The restaurant, designed with a summer beach-hut motif, is the second of its project that originates in Shibuya, Tokyo. 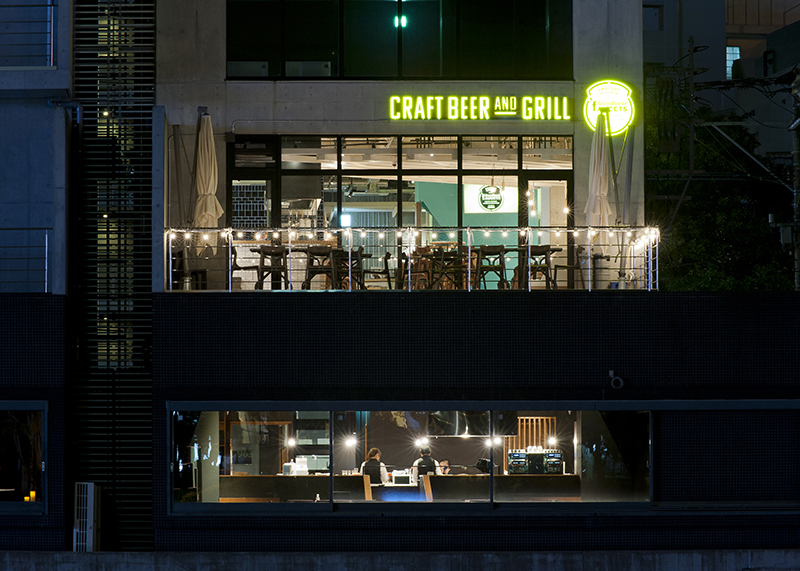 Compared to the bar in Shibuya,this riverside restaurant is intended to cater not only to committed beer fans, but to an even wider audience so that the guests can fully enjoy a selection of more than forty craft beers along with a satisfying dining experience. 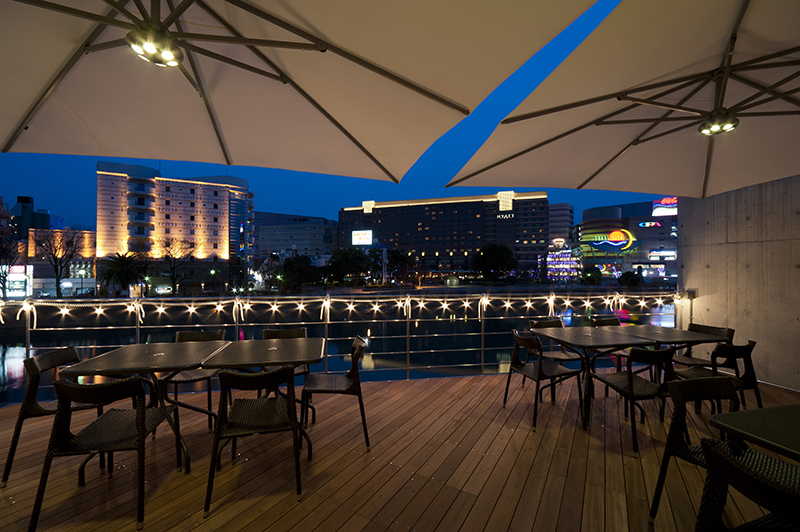 Hakata is a city that is close to the ocean, and the site is flled with the open, breezy atmosphere of the riverside. 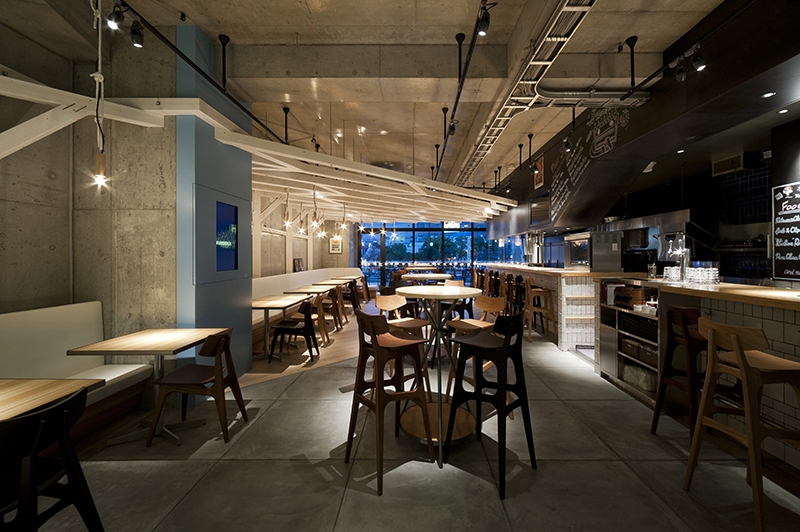 The restaurant is themed after “umi-no-ie,” or summer beach huts, to instill the open-air ambience into the space. 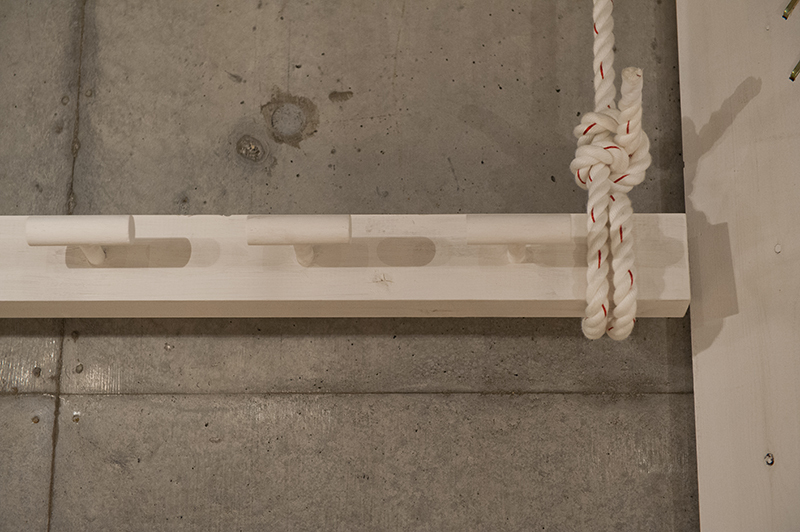 The rope-work in the restaurant’s displayand lighting fxtures, and painted wooden pergolas are just a few examples of this unique motif. 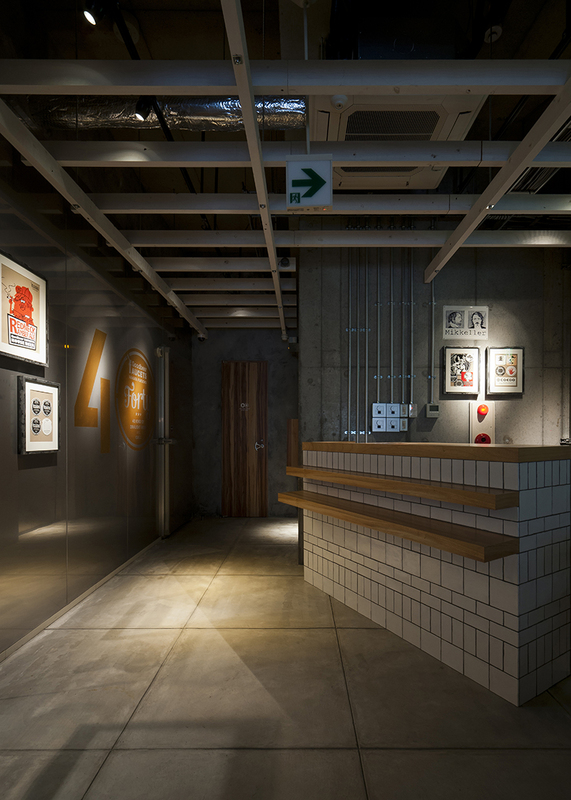 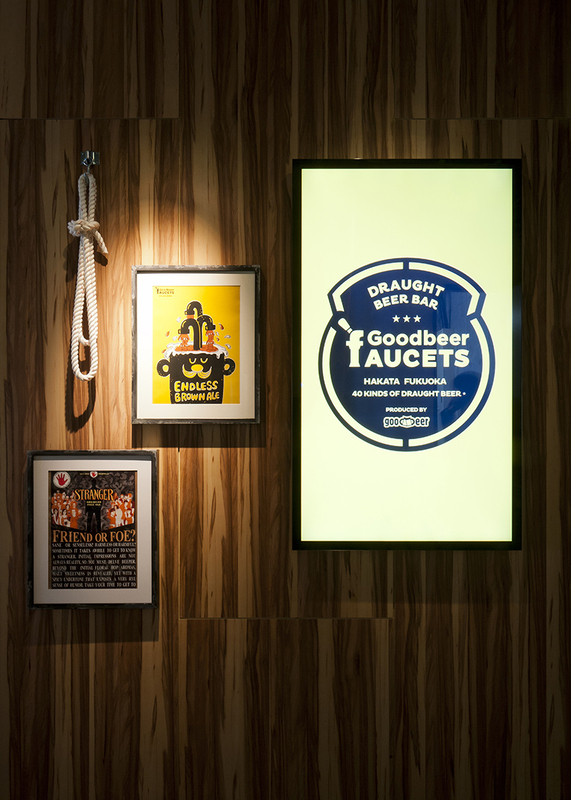 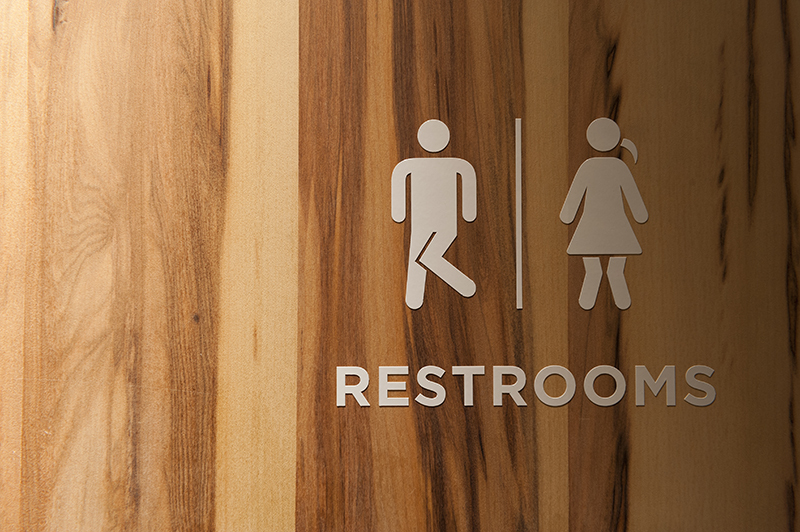 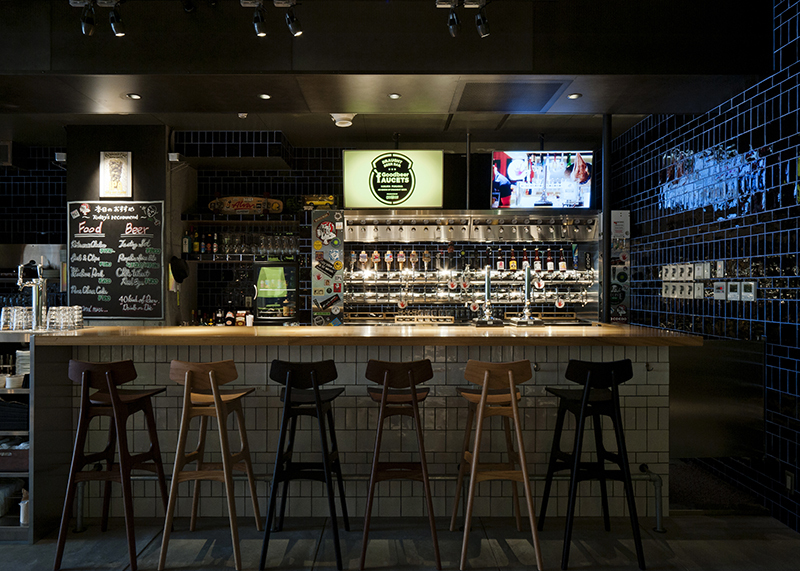 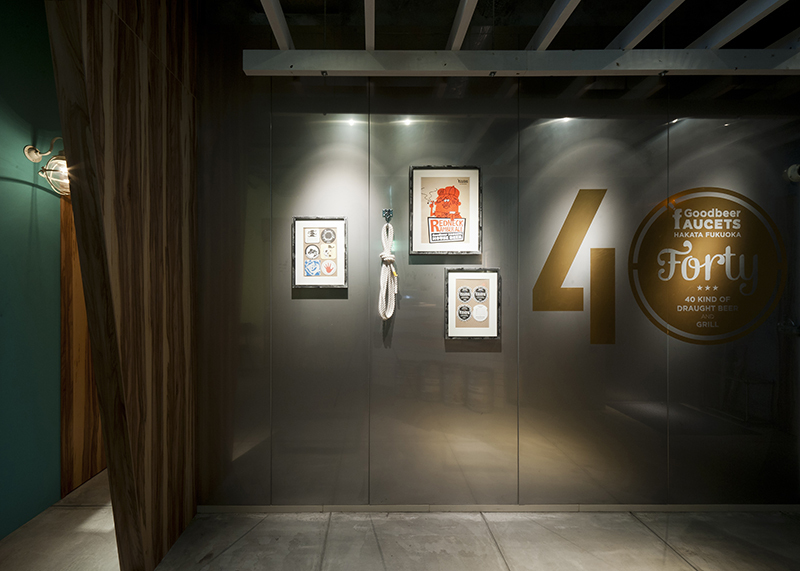 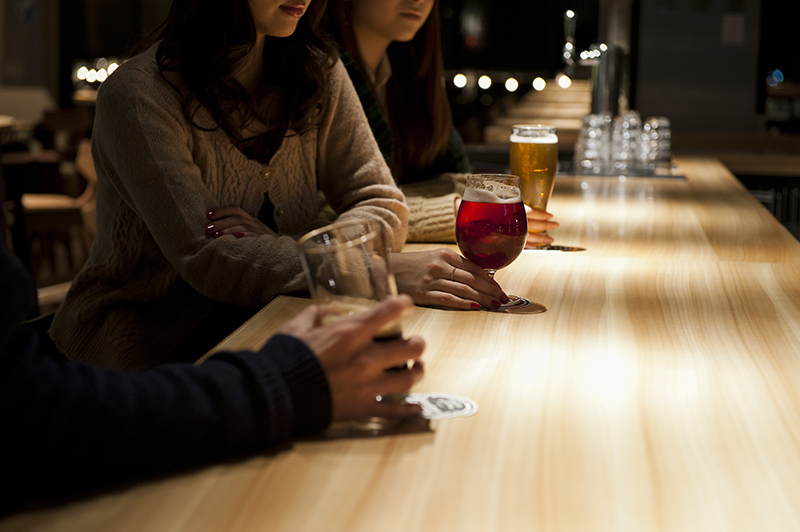 Since the restaurant is also a place for appreciating the beer culture behind each of the unique breweries, a sense of quality is maintained throughout the entire design. 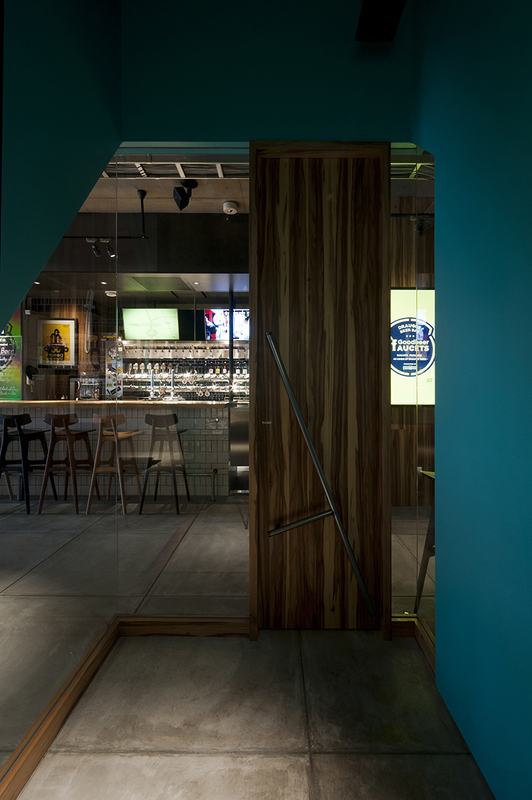 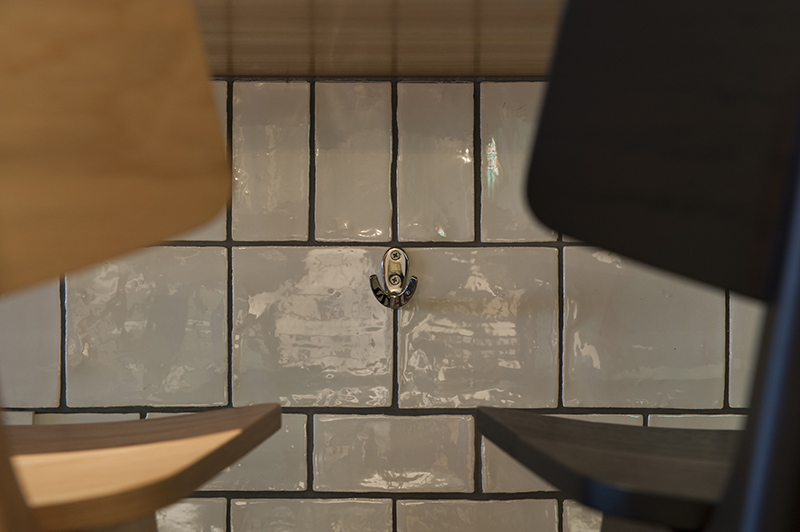 The beer serving system, which connects the refrigerators near the entrance to the bar tap, was installed by Laff International. 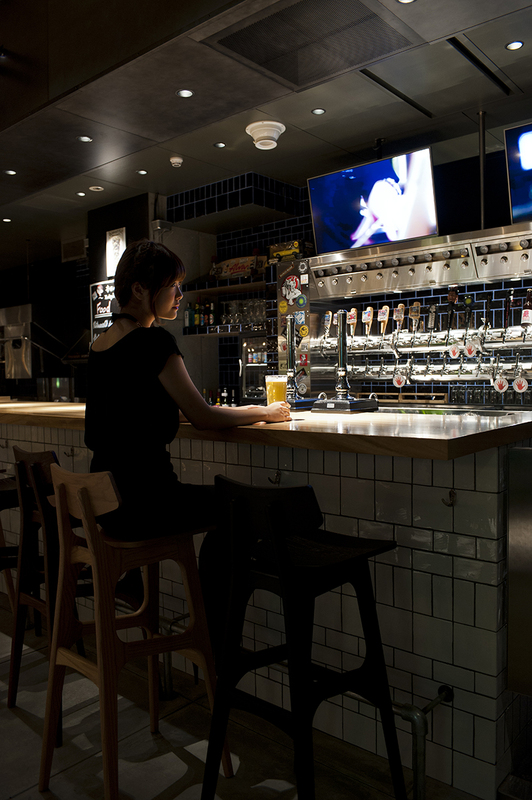 This system, which allows the restaurant to control, maintain, and serve better quality beer than its competitors, is the very core of the business and is thus featured in a location that can be appreciated by each and every guest. 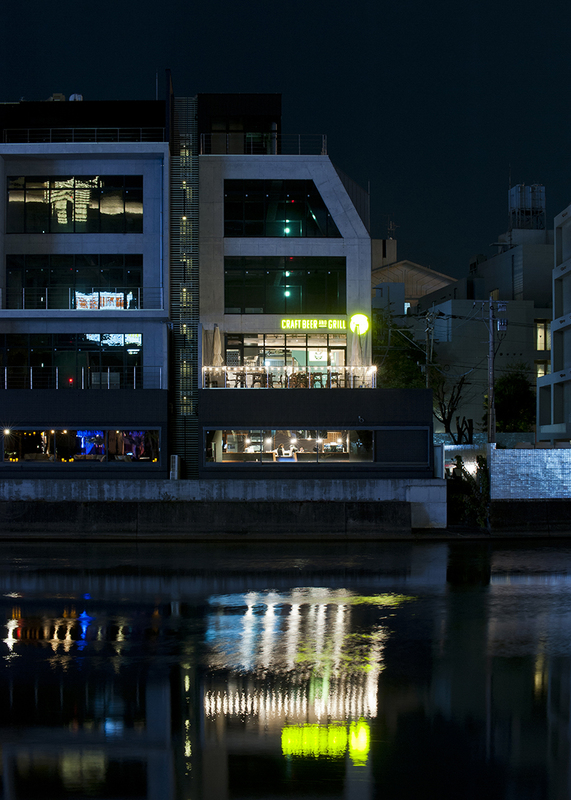 Part of the reason why we were especially keen to perfect the illuminated scenery refected over the river surface, was because the restaurant is a spatial representation of the team’s collective will:to establish a foundation for a new dining culture within the breezy streets of the Hakata city.